Roulette is one of the most popular real money online games to play. 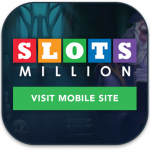 The options for online players are endless, including mobile, RNG-based games and live dealer. Roulette has long been popular at land-based venues, but the Web has lured in a new type of punter — one who gambles from home. Playing online, from the comfort of our houses, means we have access amazing bonuses and promotions that brick-and-mortar casinos would not dream of giving us. There are multiple versions of roulette available at most online casinos as well as many safe deposit options in a variety of currencies. Every casino that we recommend at OnlineCasinoSite.com has been thoroughly tested and been found to be of a high standard. The Untied States has some of the strictest online gambling laws in the world (although some US states are starting to introduce their own online gambling laws to allow online gambling to players within certain jurisdictions), and although the options may be limited, there are some trustworthy roulette sites that accept US players and the US dollar. Some of the top-rated US-friendly online casinos include BetOnline and Bovada, which both offer a range of online roulette variants including live dealer games, along with plenty of other table games and online slots. There are several options available to make deposits using USD including Visa and other credit cards, bank transfers, online payment services and cryptocurrencies like Bitcoin, with payment options varying at different sites. Most online casinos offer American, European and French roulette, as well as additional variations to these titles like multi-wheel roulette, which may throw a twist on the traditional title. Our recommended casinos offer an array of variants, but for the lowest house edge we like playing the traditional European title. For the novice gambler, the American version has the most pockets at 38 due to a 0 pocket as well as a 00 pocket. The French and European don’t have the 00 pocket and both have only 37 pockets, which means better odds. The odds and in turn the house edge depend on what version you play. The house holds an edge on every bet of 5.26% in the American version, with the exception the ‘First Five’ bet which carries a house edge of 7.89%. European roulette has a house edge of just 2.70% on all bets, and can be reduced even further when the la partage and en prison rules are enforced. These rules are favourable to reduce the house edge. La patage reduces the house edge to 1.35% and if the ball lands on the zero, then half of the even money bets are given back to players. Make sure you select this option before the wheel is spun. En prison generally involves a player making an even bet. If the ball lands on zero, then the bet is placed in ‘prison’ and if that bet wins on the next spin, then it is returned to the player. However, if the ball lands on zero again, the bet is double imprisoned and the player has to win twice in a row to get the bet back. For a greater chance of pocketing some winnings check out the progressive jackpot game, Roulette Royale. Like all progressive jackpots, the number grows every time a bet is placed. Supporting European roulette, all players have to do when playing Roulette Royale is place the required side-bet and a player will hit the Microgaming Roulette Royale top jackpot when the ball lands on the same number five times in a row. Another online roulette variation is Gold Series Roulette which can be played at some of our recommended online casinos and even on an app discussed below. It offers higher betting limits, enhanced graphics and sounds, and a realistic simulation of the wheel and table to create an enjoyable casino experience. If you’re after more, try out the Multi-Wheel or Multi-Player Roulette titles. The former offers up to eight wheels to be spun at one table which increases your chances of hitting and winning your numbers in the multi-wheel version. So your bet or your multiple bets are applied to all eight wheels and each wheel spins independently, meaning you can have eight different winning numbers and eight different results for your one set of bets. The multi-player option allows you to chat with other players as well as the ability to zoom into the Roulette Wheel and view other player’s wins as well as their game play. Watching how others perform on their games creates a more competitive atmosphere, giving you the option to choose from either a 20, 40 or 60-second interval between spins. For a real casino experience, Live Dealer Roulette uses real human dealers to control the game and we follow all the live action via a video feed streamed to our screens, while we place bets in the same manner we would with regular online roulette. You need to be careful when choosing where to play online roulette, asking several questions, including is the casino regulated? Is it audited by independent body like eCOGRA? Does it have a strong reputation? Is it protected by the highest digital encryption measures? Your best bet to answer these questions is to use websites like this ours to read reviews and learn how to identify the best, most reliable roulette sites – don’t just jump into any old casino — do your homework. On top of being safe, regulated and offering a wide variety of games and bonus offers, the casinos we endorse all have an array of payment methods including Visa, MasterCard, Maestro, Neteller, EcoCard, EntroPay, Paysafeacard, Flexepin, InstaDebit, cheque, bank transfers and others. Note: Not all of our recommended online casinos accept players from all countries, depending on your local gambling laws. For a full list of the leading online roulette sites that accept players from your country, refer to the casino table at the top of this page which has been geo-targeted to recognise your location and only recommend casino site that accept players from your country. You can use our links in the table to sign up for an account to claim exclusive welcome bonuses or read our detailed reviews to find out more. 1. Mucho Vegas: This vibrant online casino site houses one of the largest collection of online roulette games from a range of software developers, including Pragmatic Play, BetSoft, 2×1 Gaming and more. Choose from such varied titles as American Roulette, Bonus Roulette, Astro Roulette, Chinese Roulette, Common Draw Roulette, Roulette 3D and Roulette Crystal. Mucho Vegas comes highly recommended for a wide range of classic and unique roulette variants, all which re available download-free with some sweet rewards for new players. Read our Mucho Vegas Casino review. 2. Casino-Mate: Offering flash based instant-play for multiple online roulette variants from several different software developers, Casino-Mate has an abundance of different roulette games. Try your luck at the classic versions or spice things up with Multi-Player Roulette, Multi-Wheel Roulette Gold, Premier Roulette, European Roulette Gold or French Roulette Gold. 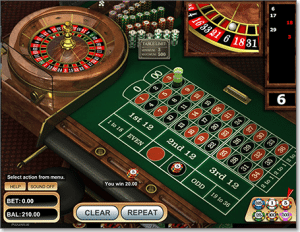 Casino-Mate also offers the progressive jackpot, Roulette Royale. Read our Casino-Mate review. 3. Royal Vegas: With 12 Variants of online roulette and up to $1200 in bonuses Royal Vegas is one of our top casinos. But the real reason we love Royal Vegas Online Casino is due to the very best graphics and smooth gameplay the online casino offers from it’s Microgaming software. European, America and French roulette versions are offered at Royal Vegas, along with the progressive jackpot Roulette Royale. There is also a loyalty program, which reward players with points for playing which can be exchanged for cash credits. The casino also holds weekly and monthly events and players can win prizes such as cars and cruises by participating in the monthly promotions. 4. G’day Casino: This popular online casino has proven to be a hit with roulette players, largely because they boast the incredibly smooth Live Dealer roulette. G’Day also use a variety of software providers meaning they have a great selection of RNG-based roulette games. The 18+ titles on offer, that are not live dealer games, include European and American roulette and the spectacular NetEnt Touch. G’day Casino have a huge amount of bonuses available for new players, including the option of an unlimited deposit bonus. Read our G’day Casino review. 5. BGO: A user-friendly casino website with members in mind, BGO offers up some exotic and traditional little wheel variants to keep everyone happy, from 3-Wheel Roulette, Double Bonus Spin Roulette, European Roulette, French Roulette, and High Limit Roulette Advanced. Read our BGO Casino review. Online roulette isn’t just accessed via your PC, instead you can play on your smartphone or tablet. 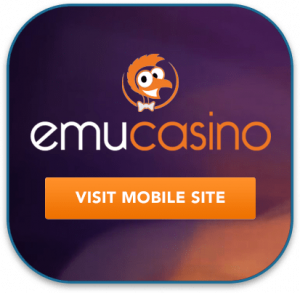 All of our recommended online casinos offer a mobile casino platform so you can play roulette anytime, anywhere. Whether you have an Apple, Android, Windows, Blackberry or other mobile device you can access the mobile interface. To play online roulette go to our recommended online casinos via your mobile browser. Sign up directly on your mobile device or use your pre-existing login details. You can also create Web apps which perform the same tasks as downloaded apps, just without taking up much memory space. Web apps are easily created, giving you a shortcut on the homepage of your Samsung, Apple or Windows smartphones. Most online casinos don’t have native applications which can be downloaded from the app or Google play store. Royal Vegas Casino is one exception, with an application that can be downloaded directly to your home screen. Royal Vegas is our top endorsed casino and this app is perfect for all mobile roulette needs. Titled Regal Vegas in all app stores, we have the option to play in both practice mode and real money mode on the Regal Vegas interface. 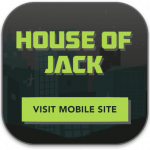 It can be easily installed on any smartphone or tablet device by tapping the ‘Get My App’ image. To see what deposit options are available in your country, you can sign into your online casino account, head to the deposit section and check the list of options. Alternatively, our recommended roulette sites are all backed by helpful customer service teams, so you can use the live chat functions to ask about the payment methods available to you.